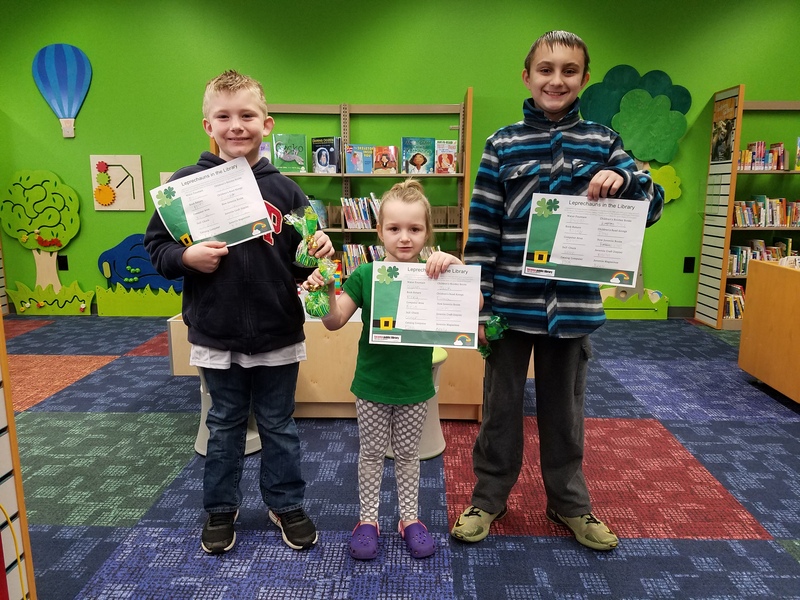 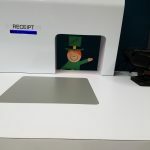 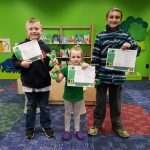 All the children and families that visited South Tacoma Branch on Saturday, March 16 were invited to participate in a leprechaun scavenger hunt. 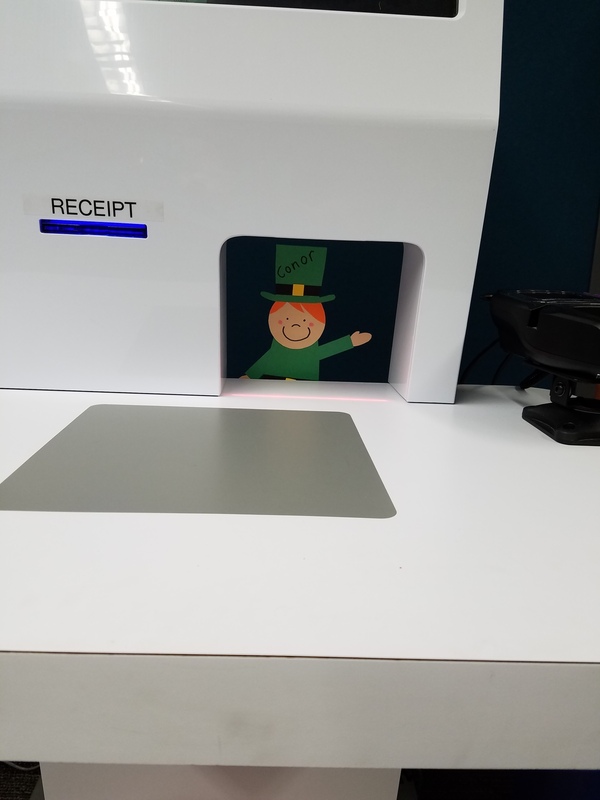 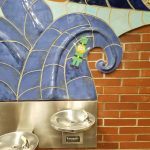 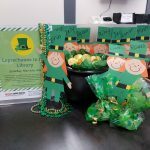 Several small leprechauns hid themselves around the library to help patrons learn their way around the newly refreshed branch. 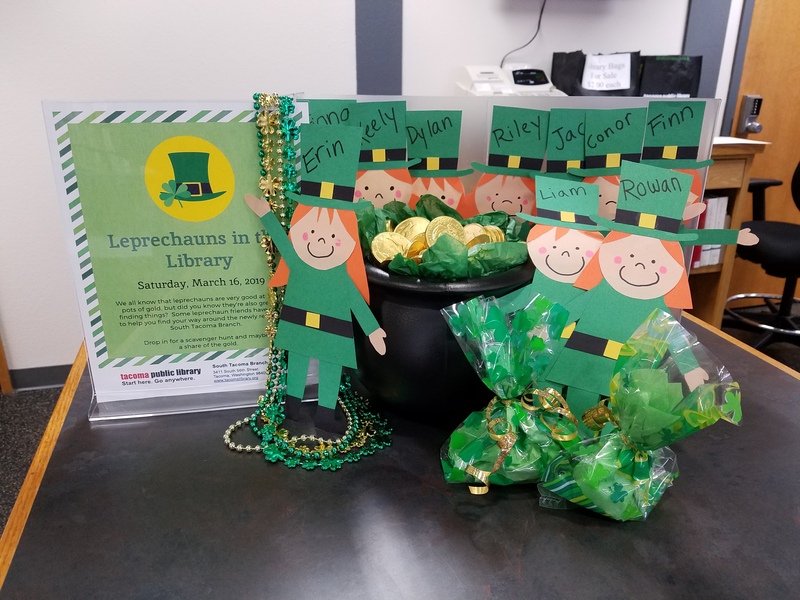 Some were trickier to find than others but they also brought plenty of gold to share with everyone. 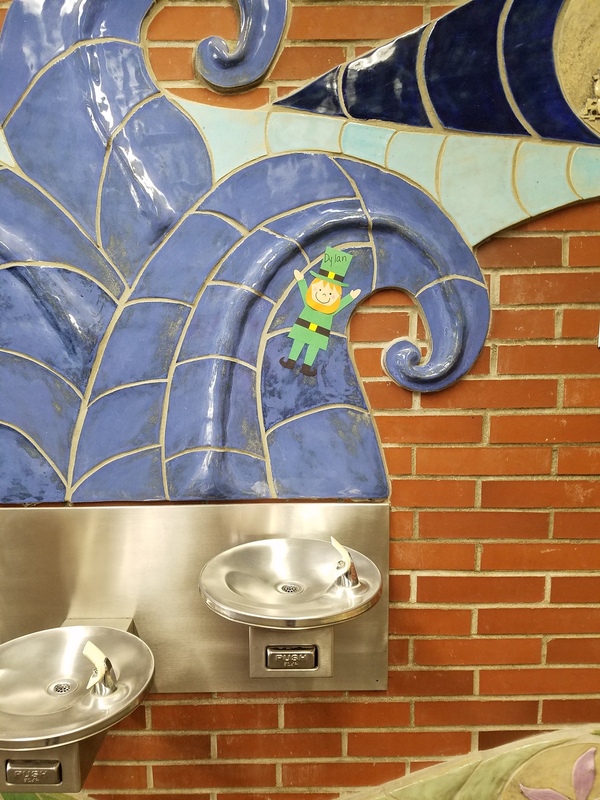 We’d like to thank our wee friends for a great day and our patrons for making the event such a success.